Have you gone through some challenging changes in your life? Maybe you haven't experienced a major upheaval, but you need to figure out how to prioritize and find more balance. Live Healthy and Be Well offers a space where you can connect to God, hear the inspiring stories of other women, and look at your purpose and what brings you joy. This book is about health and wellness, not simply about exercising to "get healthy," but creating a way of thinking about who you are that brings wellness and harmony into every part of your life. Wellness is the sum of those ideals that bring you joy, strengthen your relationships, fulfill your dreams, and lead you to a deeper connection to God: Joy, Love, Purpose, and Faith. These are the core principles of Live Healthy and Be Well. 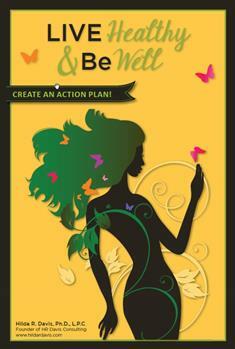 A holistic self-care action plan is the goal of your journey with Live Healthy and Be Well. This is more than an inspirational book with health activities. This is a journey where each chapter, each activity, every story draws you closer to the transformed life you desire.